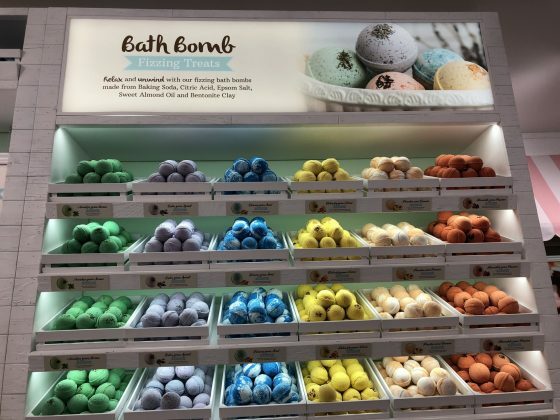 Sometimes everyone needs a day of pampering. 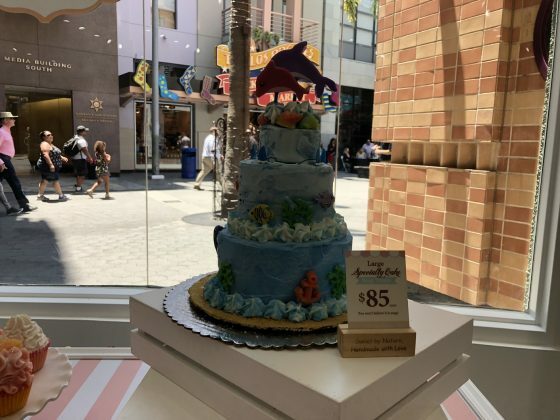 Universal Studios invited us to such a thing! 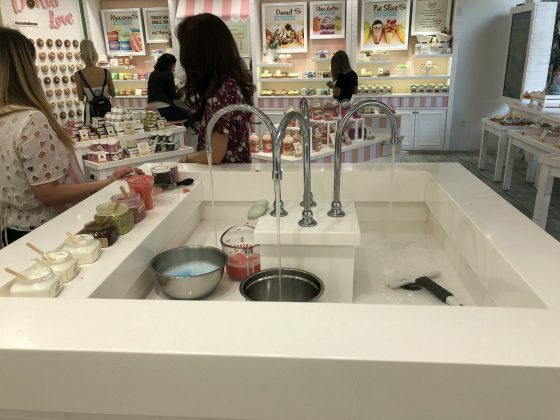 Let me tell you, you will need to check these stores out and start a day of pampering yourself! 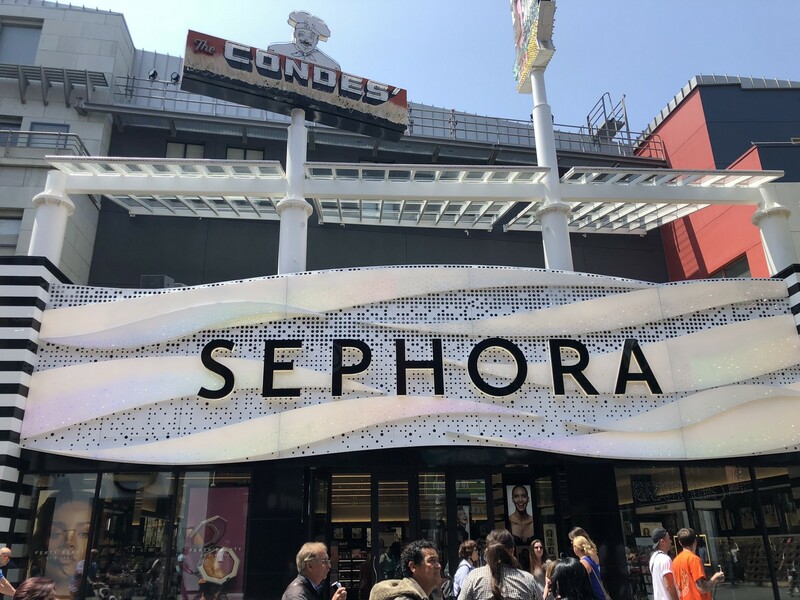 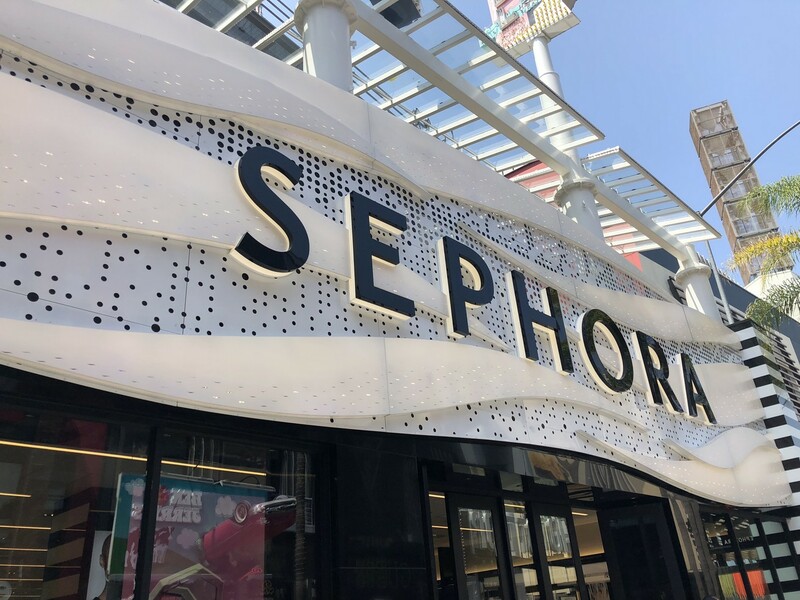 Sephora officially opens in CityWalk at Universal Studios Hollywood. 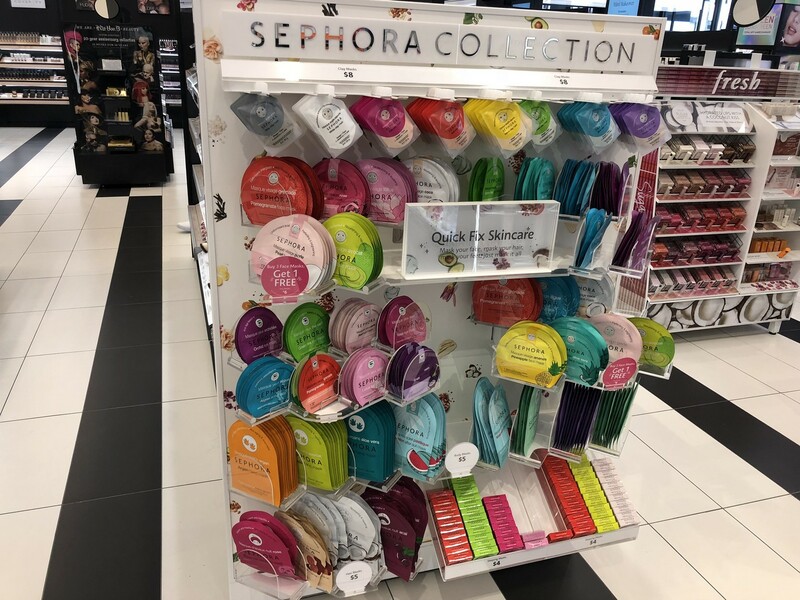 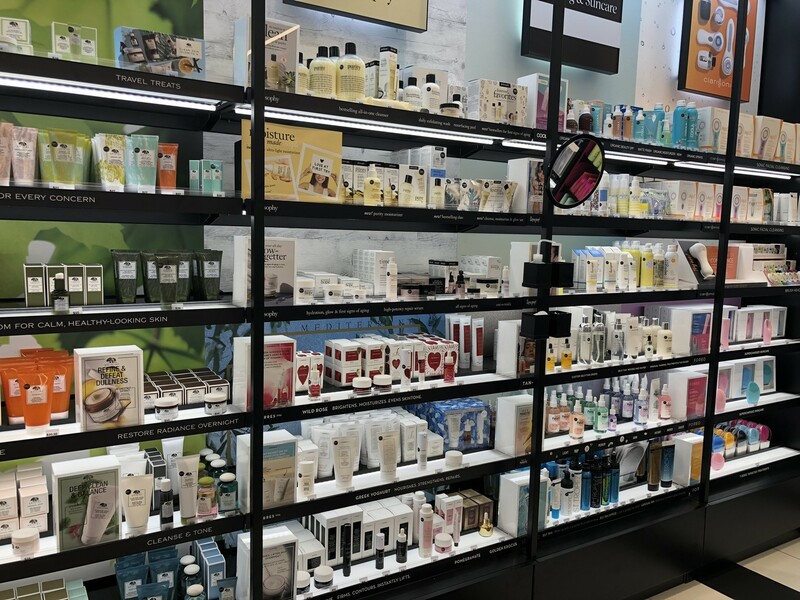 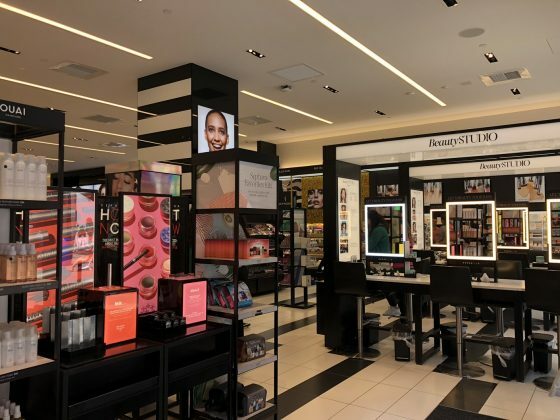 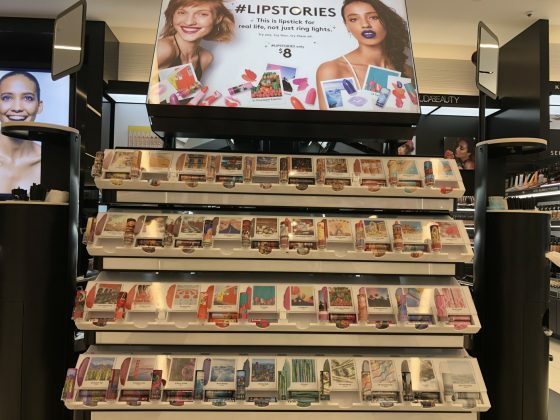 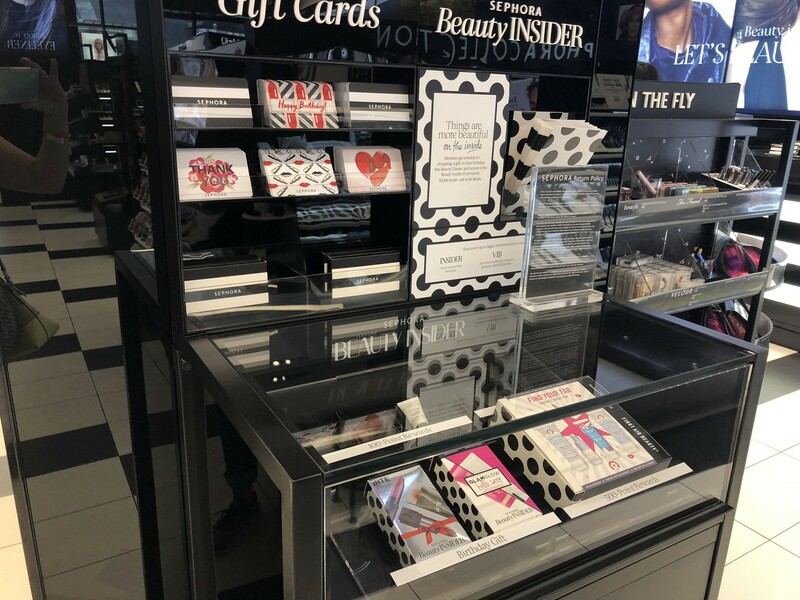 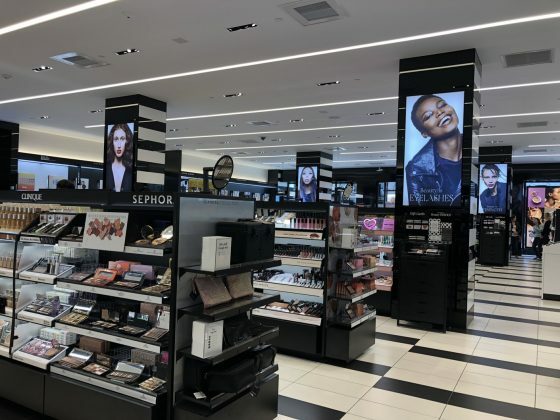 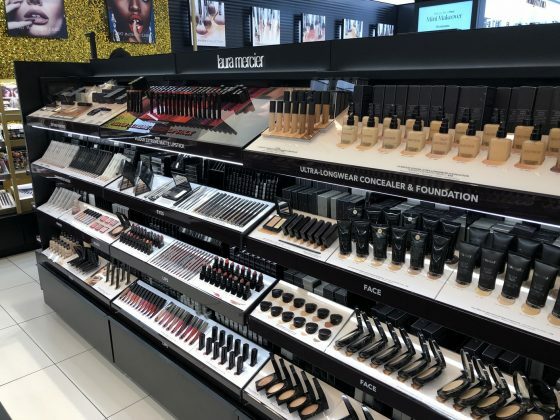 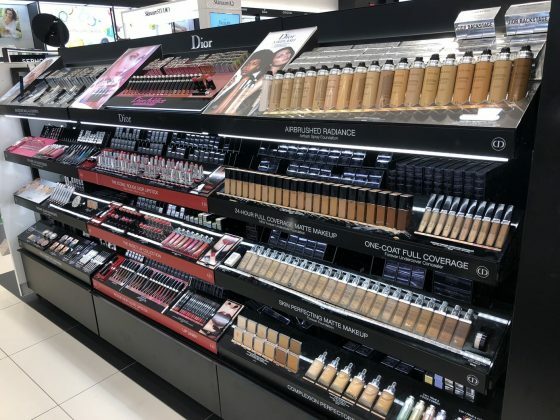 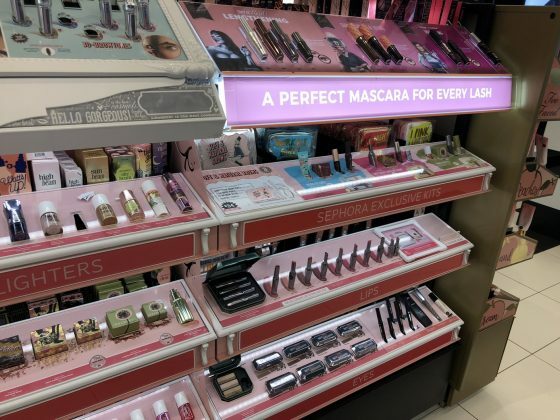 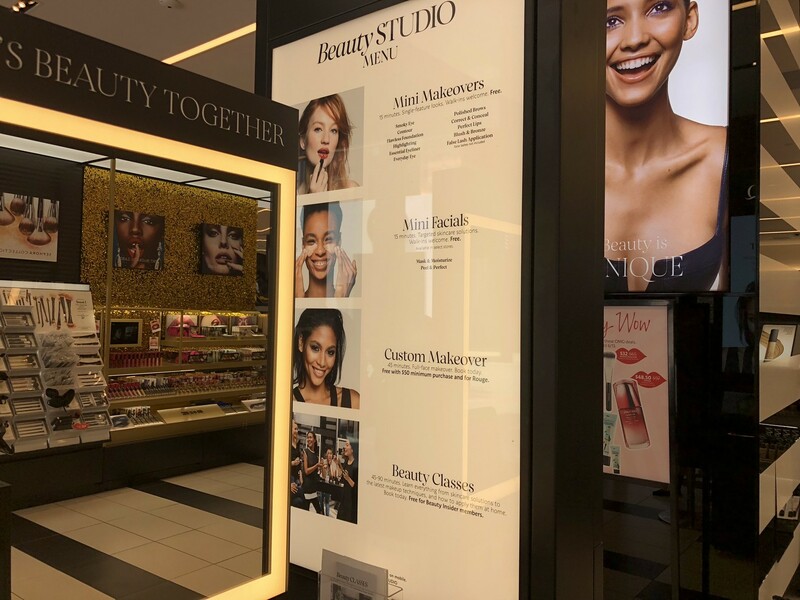 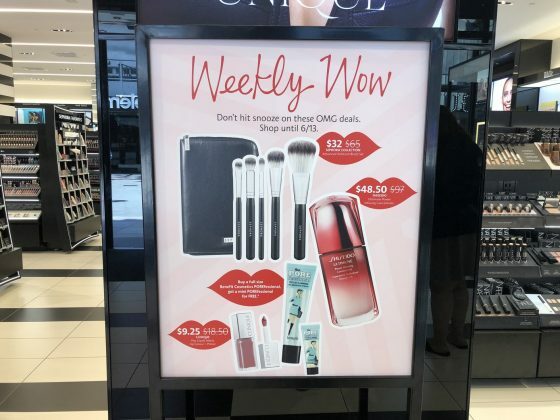 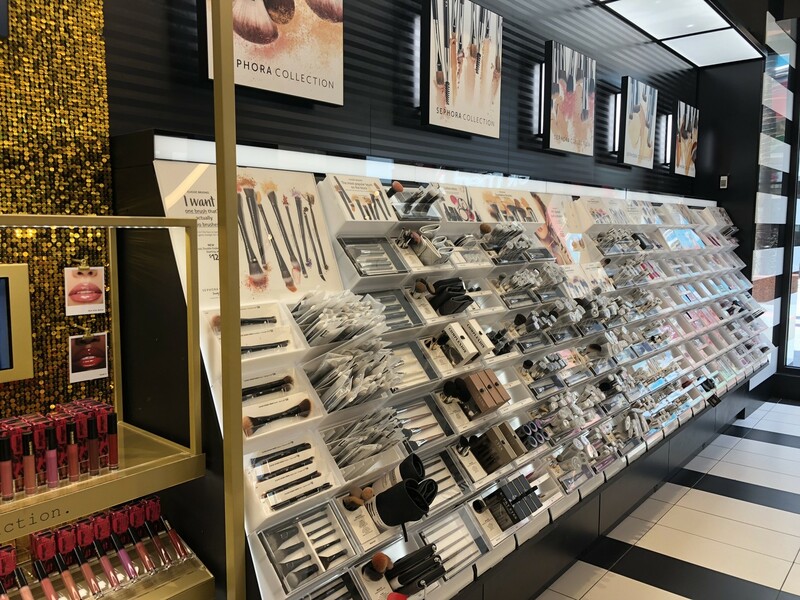 This 6,269 square foot location offers thousands of products including Sephora exclusive products and brands that we know and love. 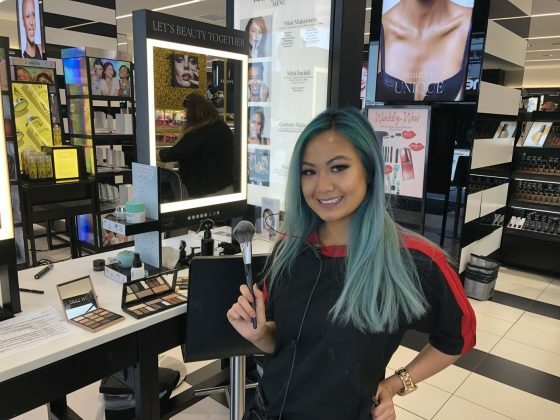 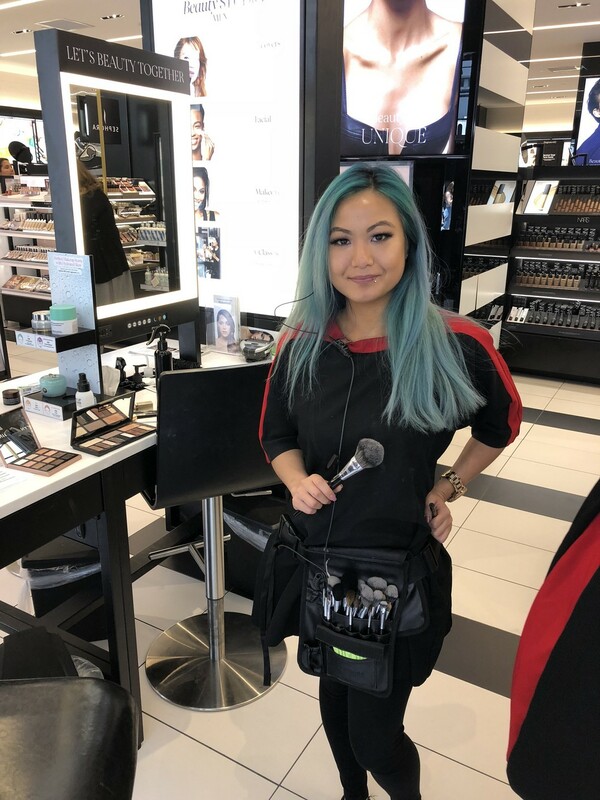 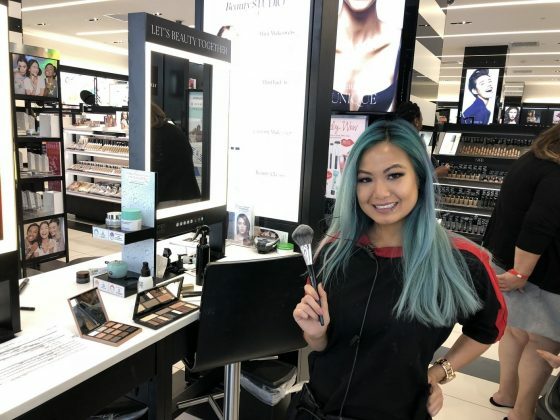 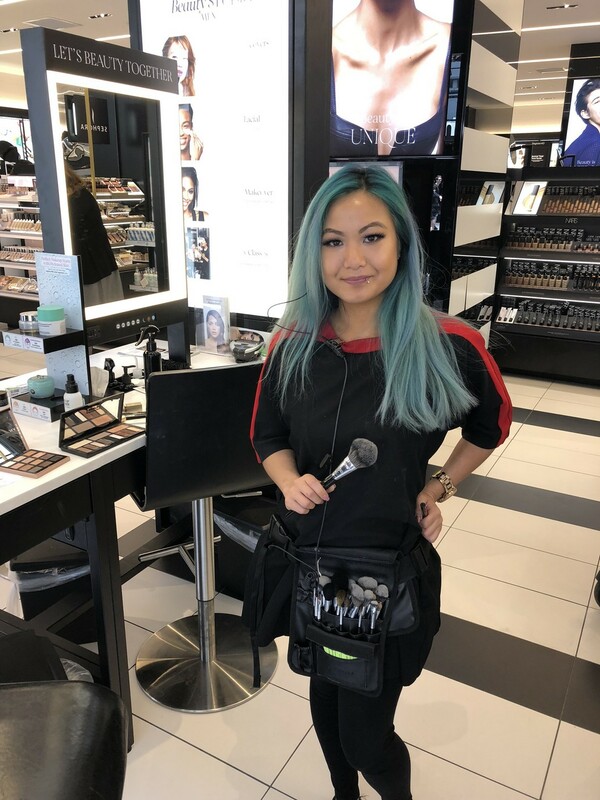 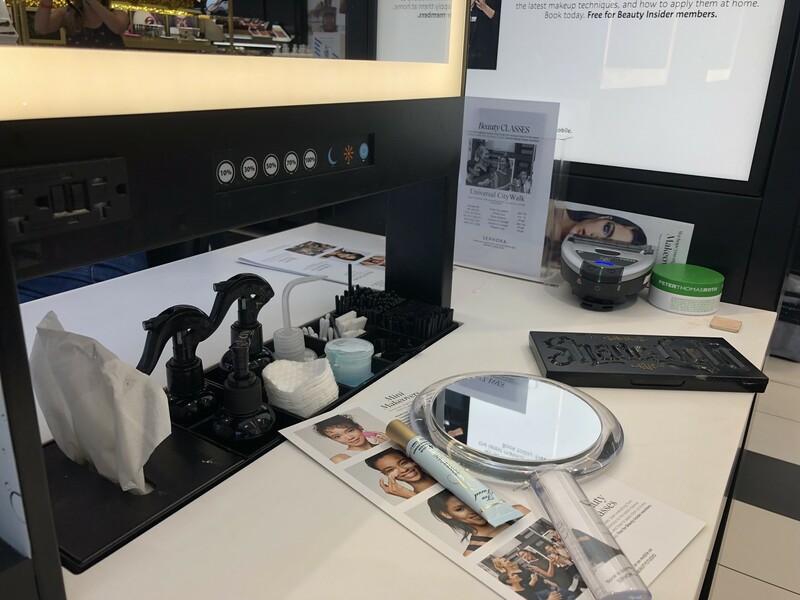 Stop by the Beauty Studio to try out some new looks by their beauty experts and ask about their Beauty TIP Workshops and custom makeovers. 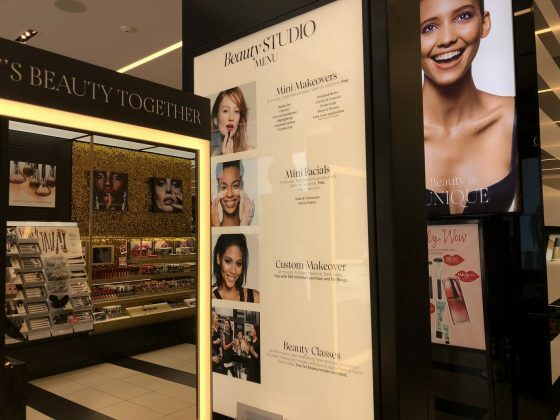 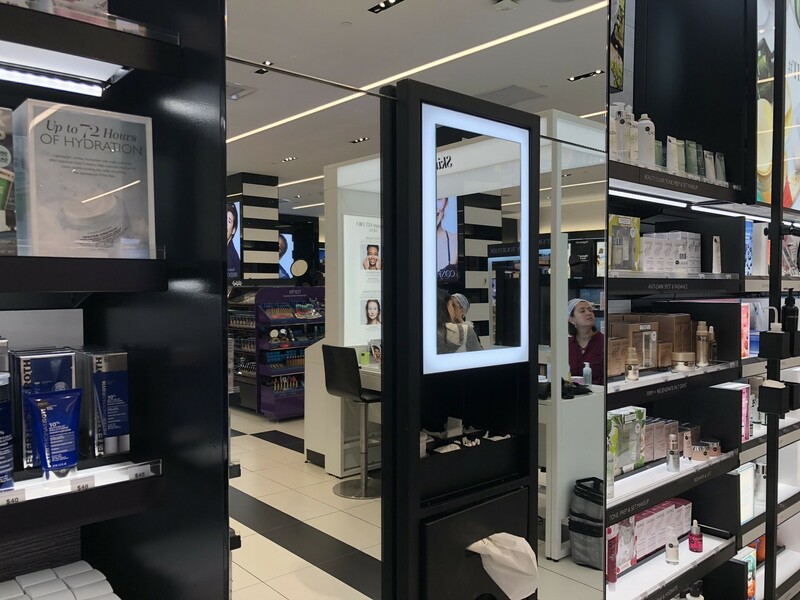 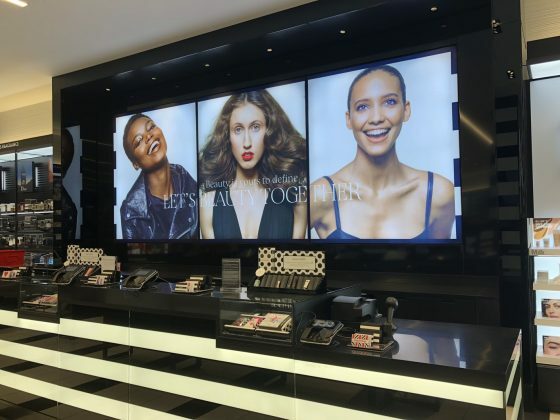 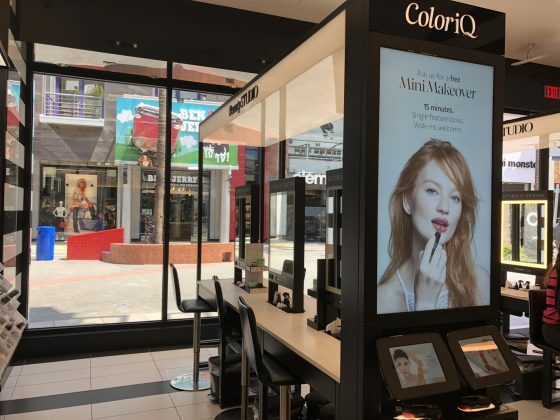 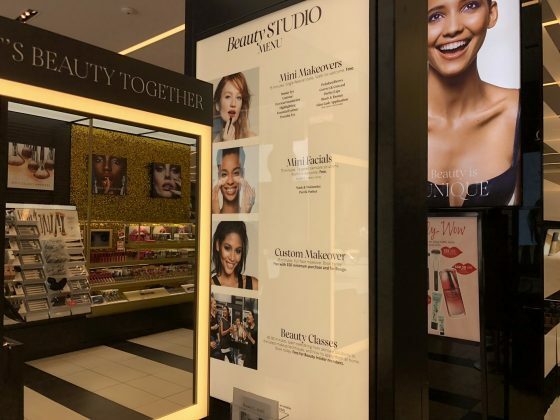 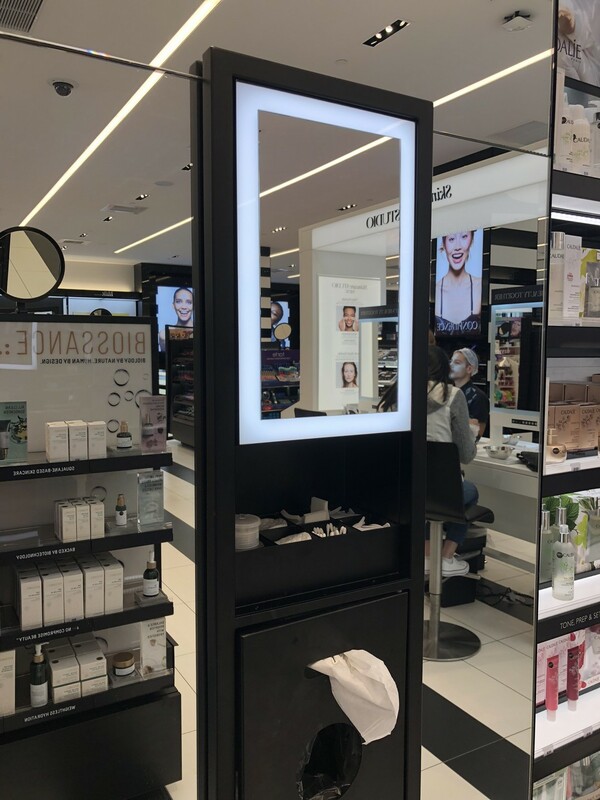 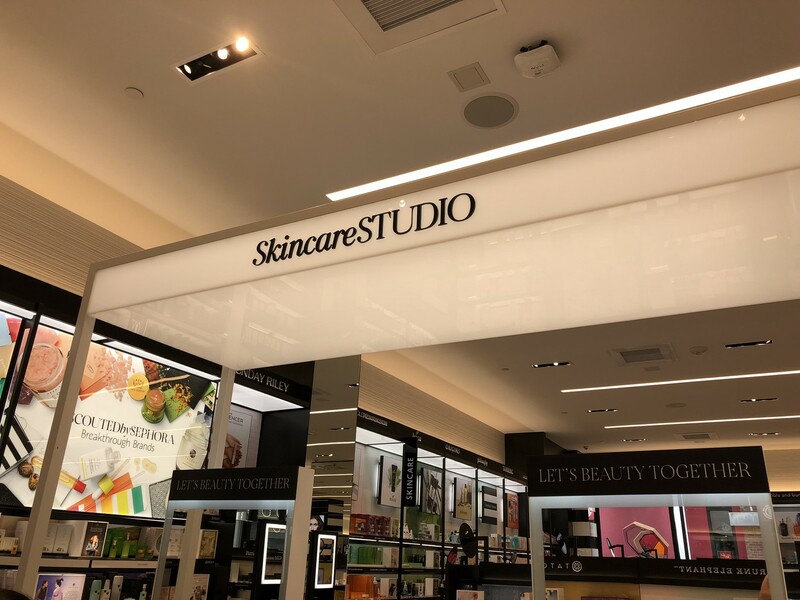 This Sephora location even has a Skincare Studio where guests can enjoy the new PERK Hydrating facial. 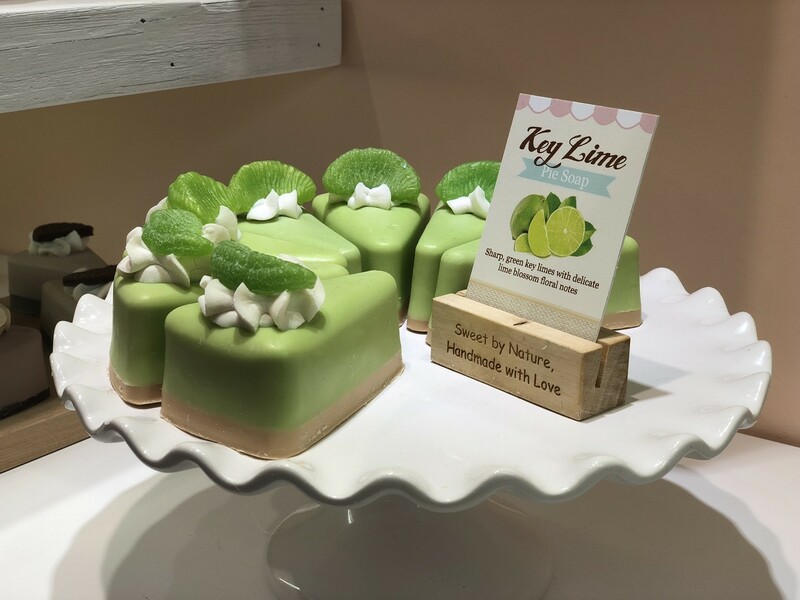 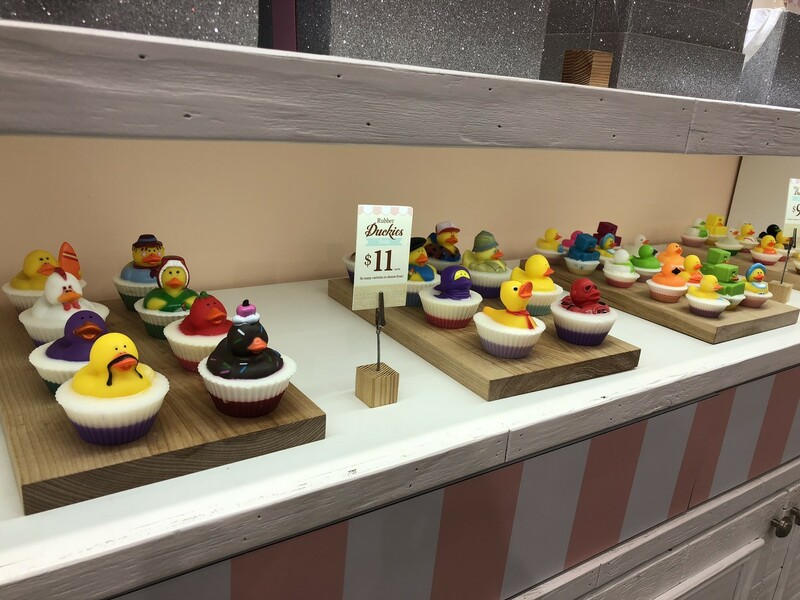 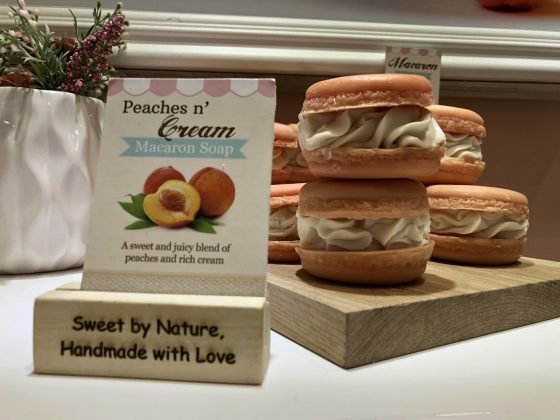 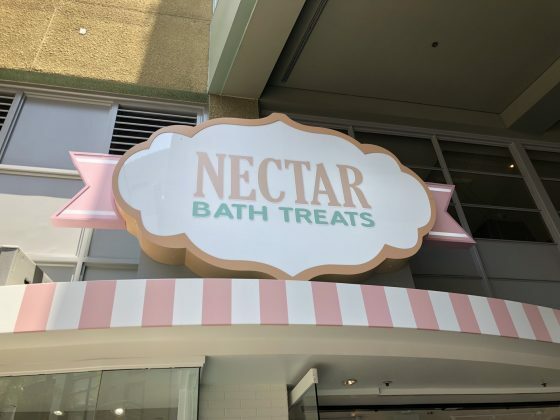 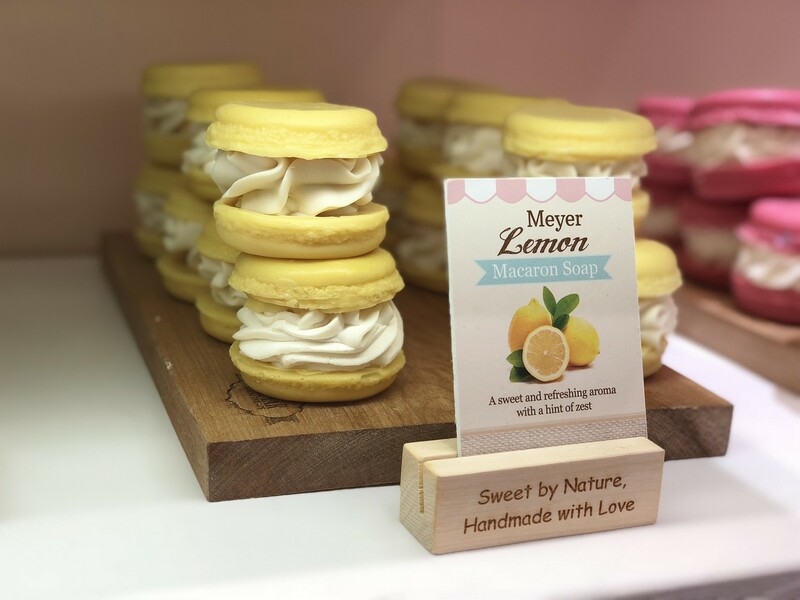 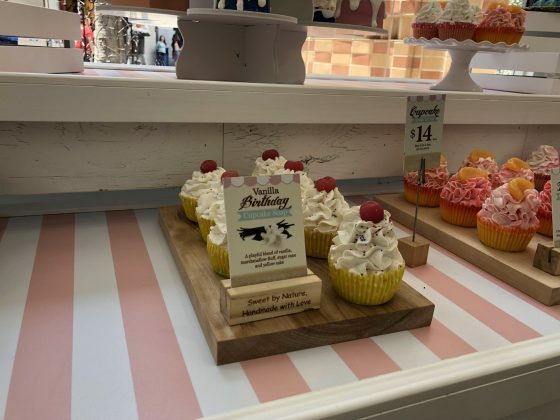 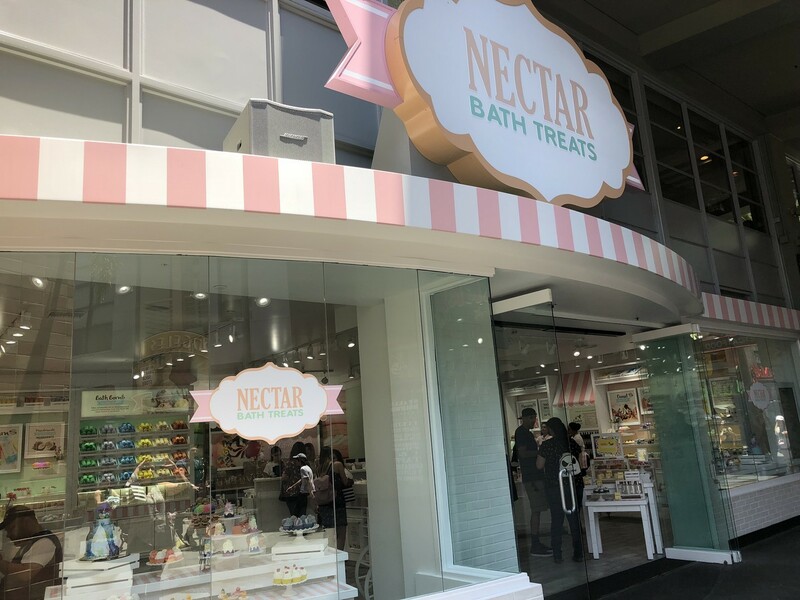 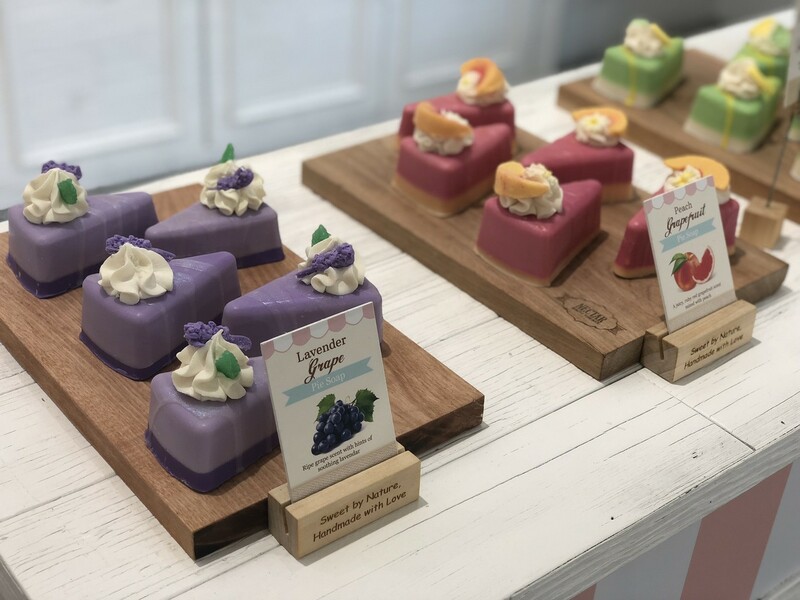 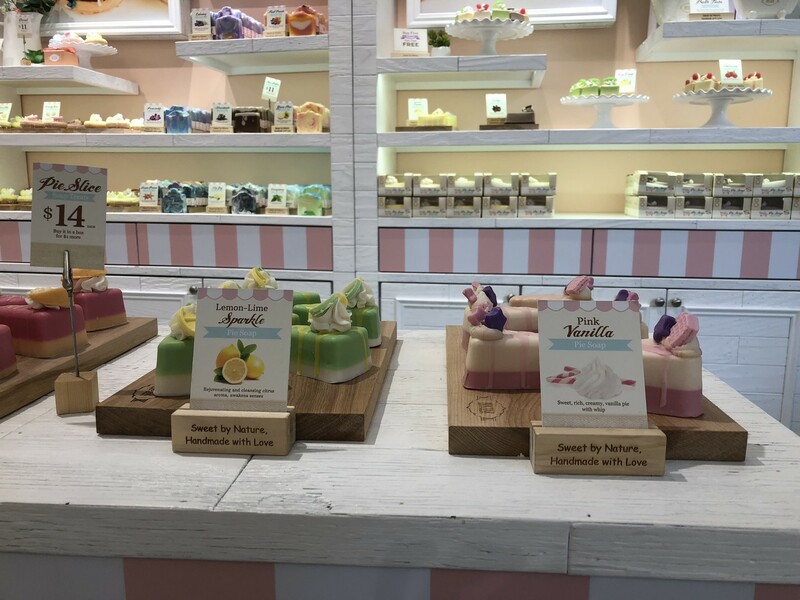 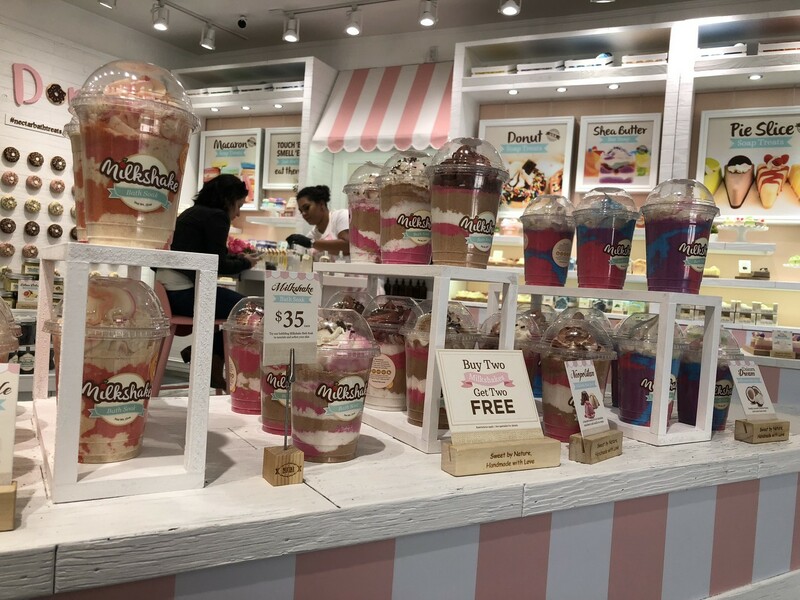 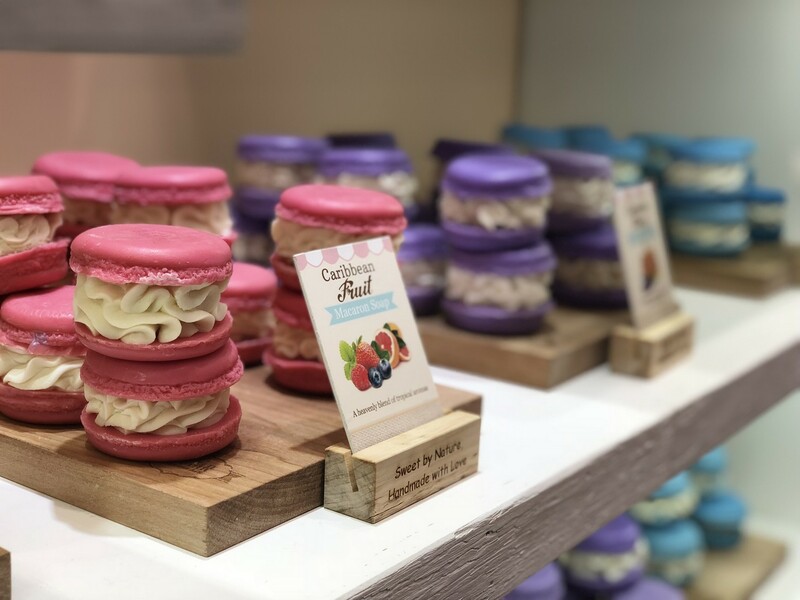 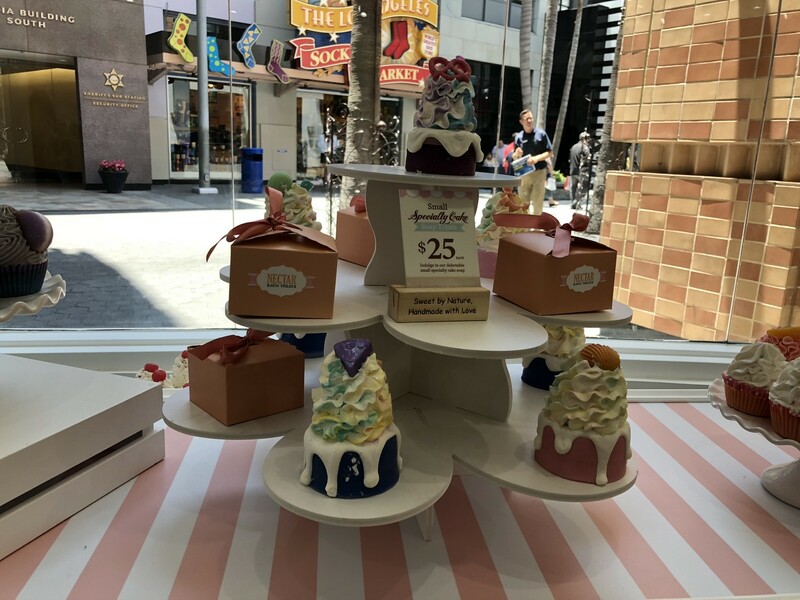 Across the way in CityWalk, guests can check out some delectable calorie-free desserts at Nectar Bath Treats. 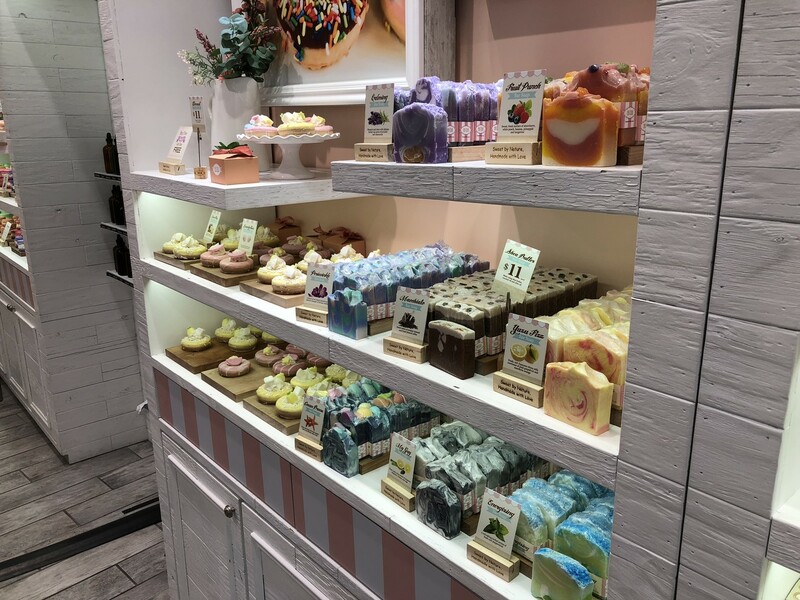 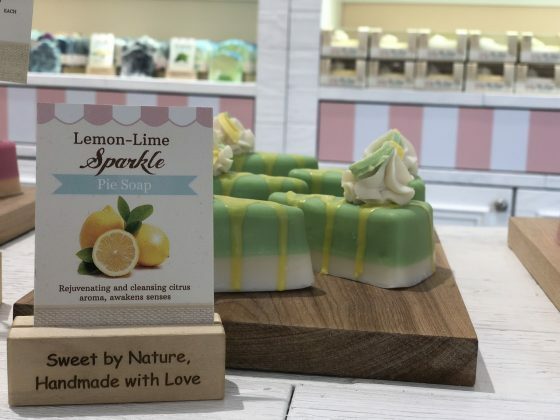 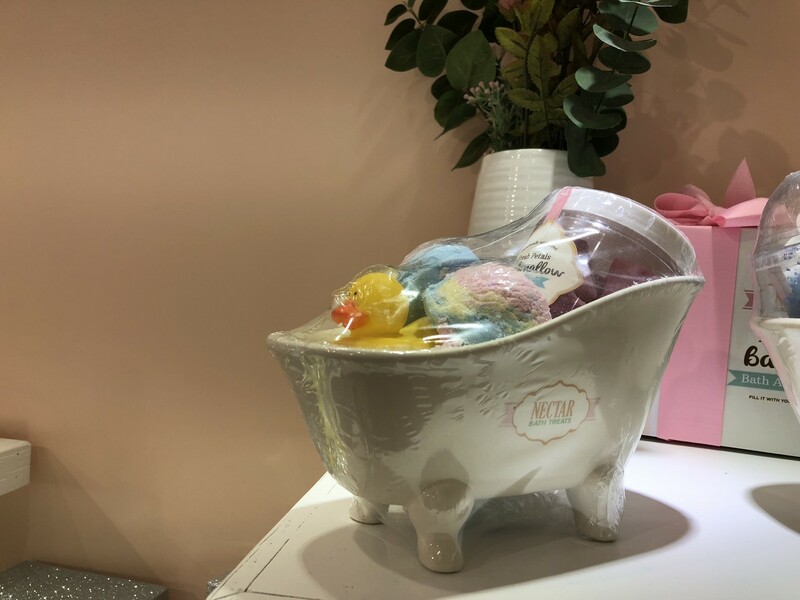 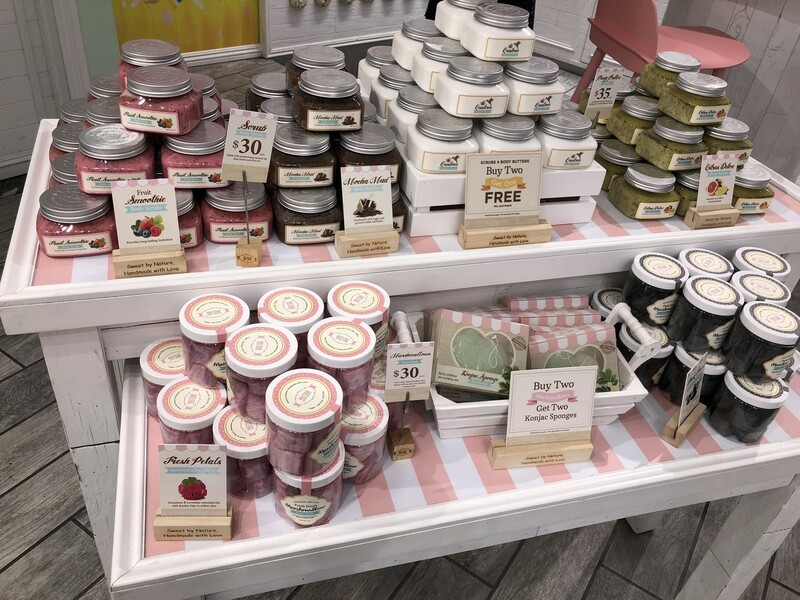 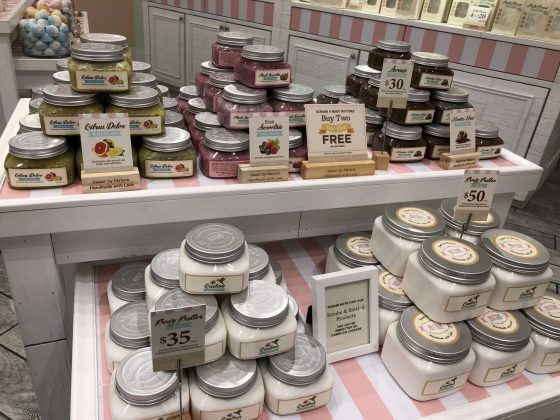 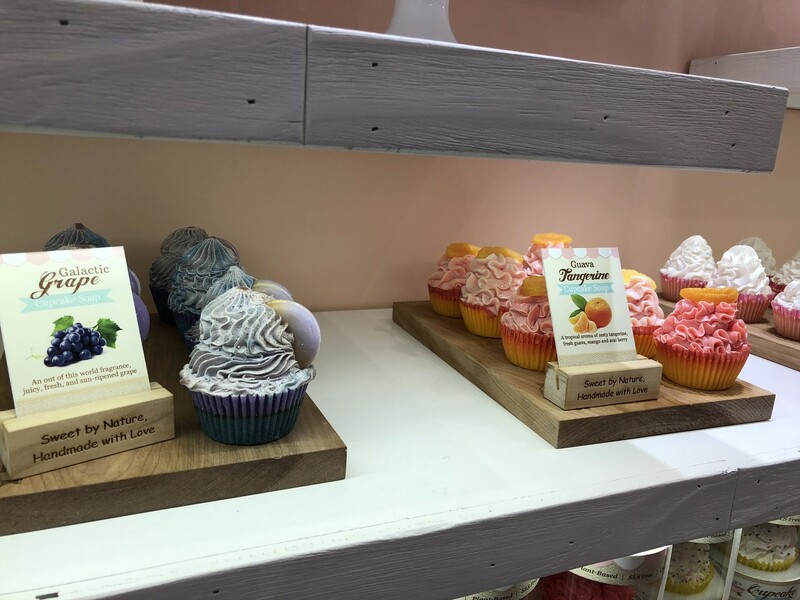 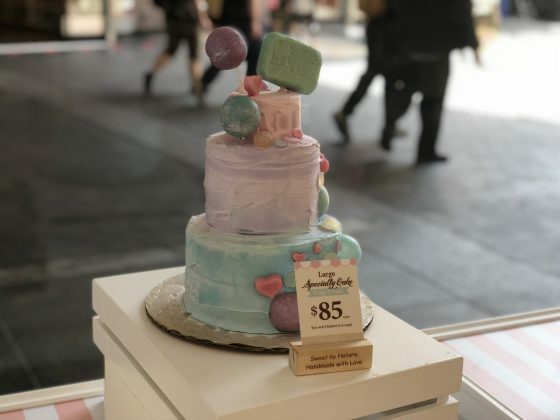 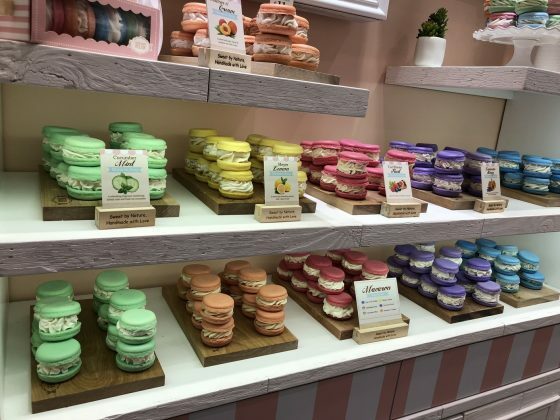 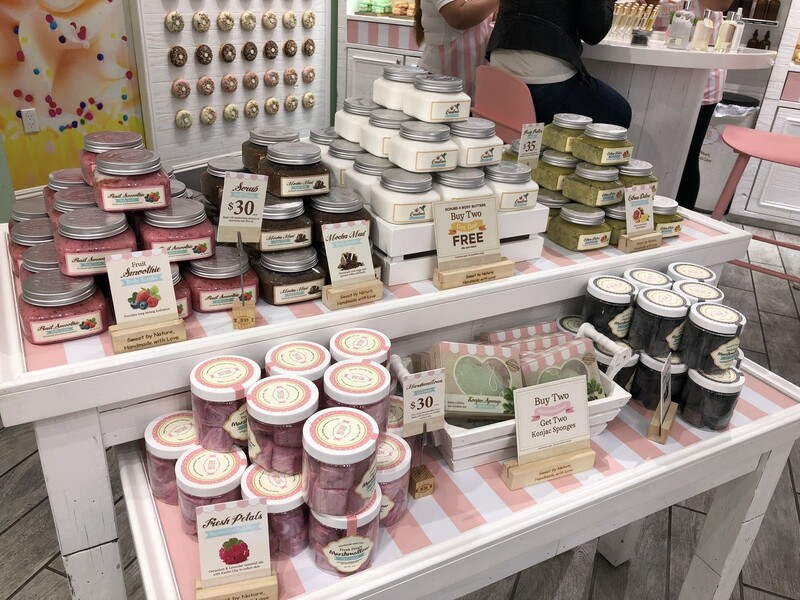 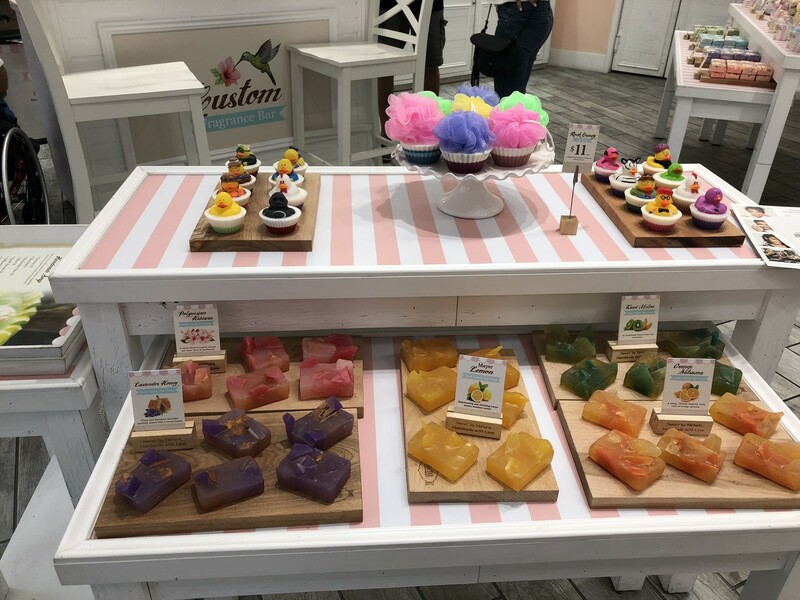 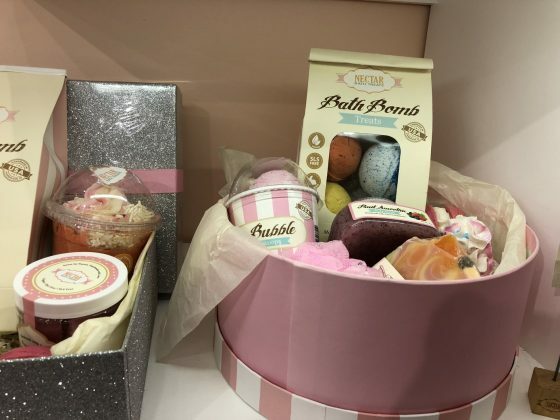 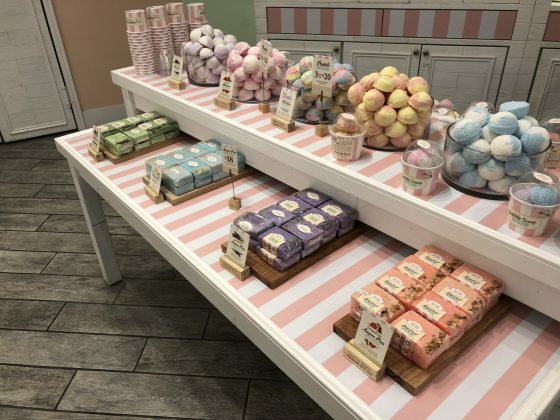 All these plant-based and cruelty-free bath treats are handmade at their Las Vegas Facility. 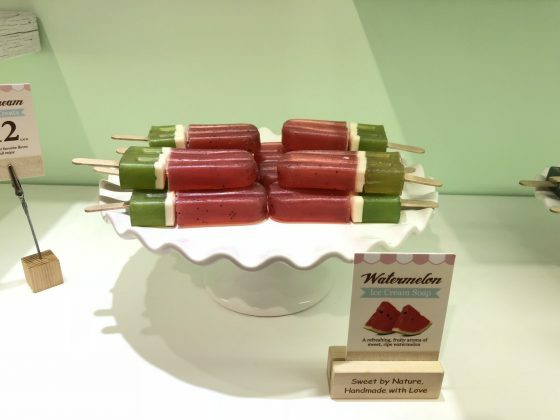 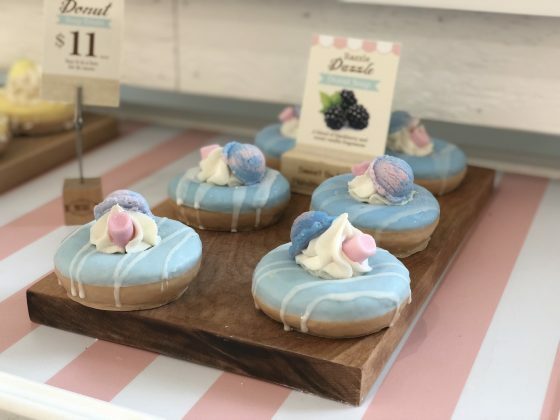 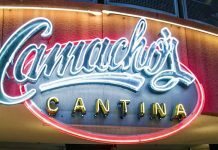 This store marks the first location in California and by looking at all these yummy natural treats, it will not be the last. There are multiple tantalizing products like Lychee Hibiscus Triple Bubble Scoop Sundae with a delicately sweet and floral finish. 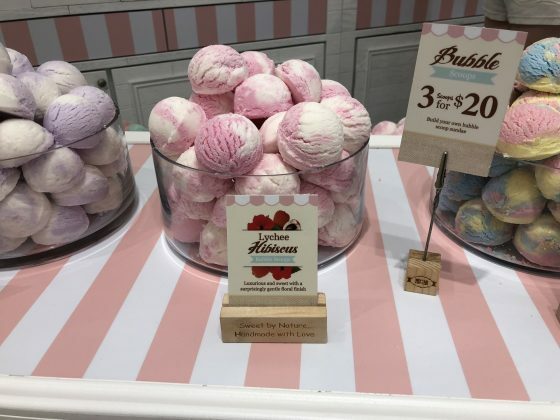 Run water over one of the scoops and see the bath fill up with tiny lush bubbles. Not a bath fan? 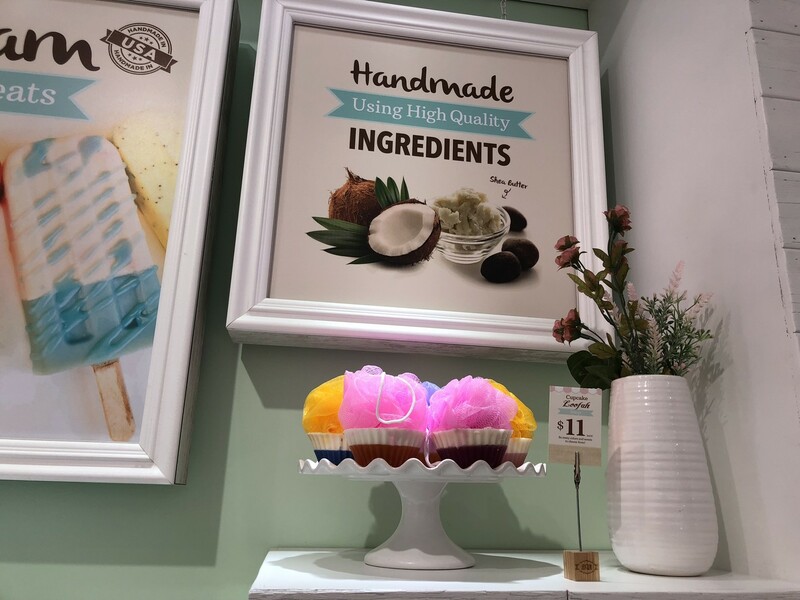 Check out the eye-catching Vanilla Birthday Cake Soap! 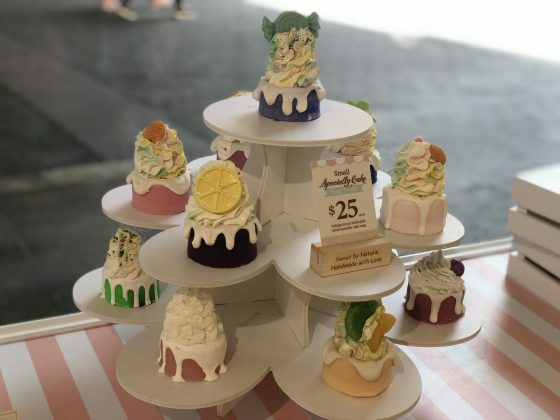 It will definitely make you take a double look to see if it’s a real cupcake! 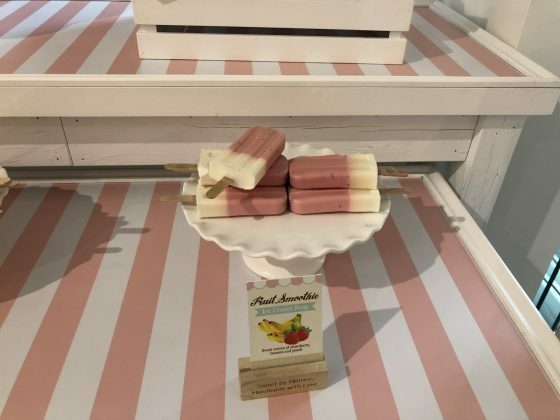 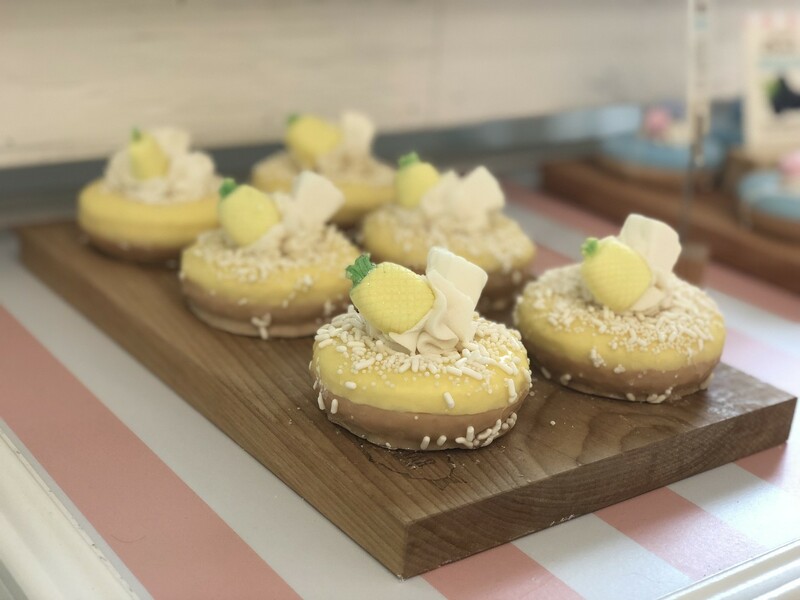 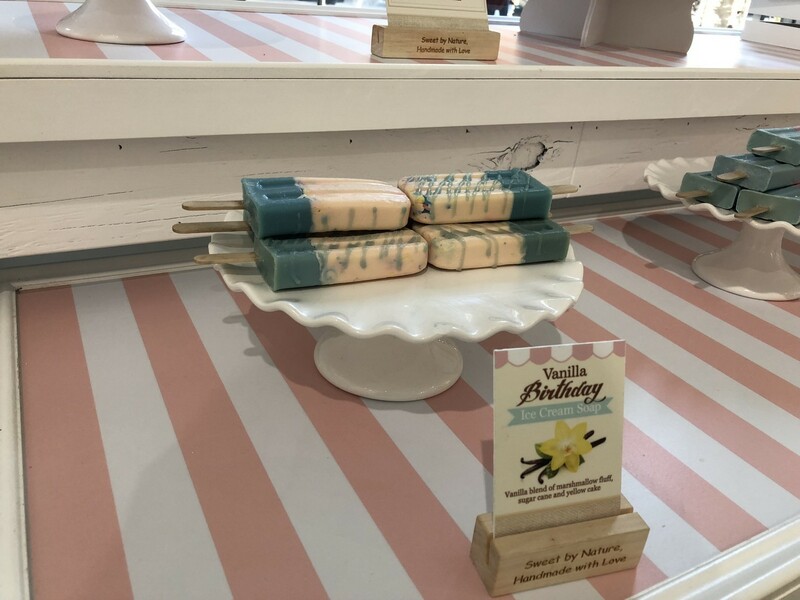 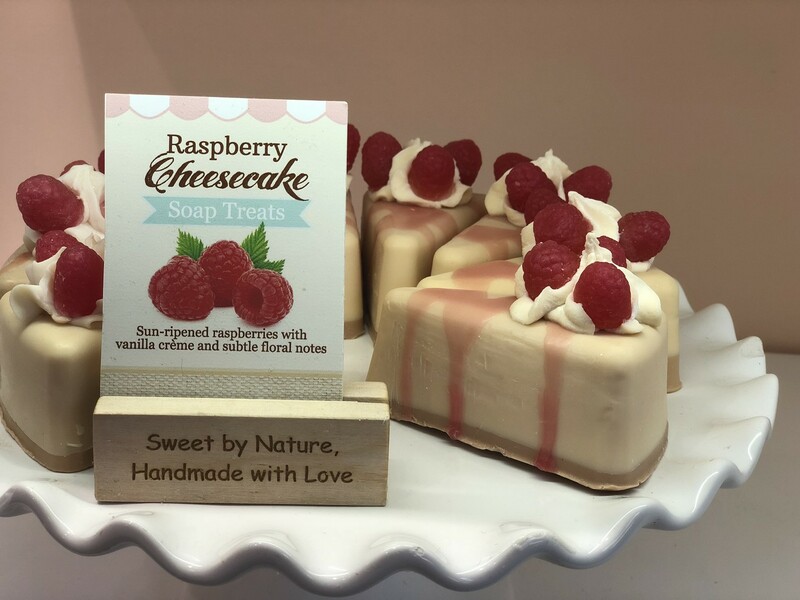 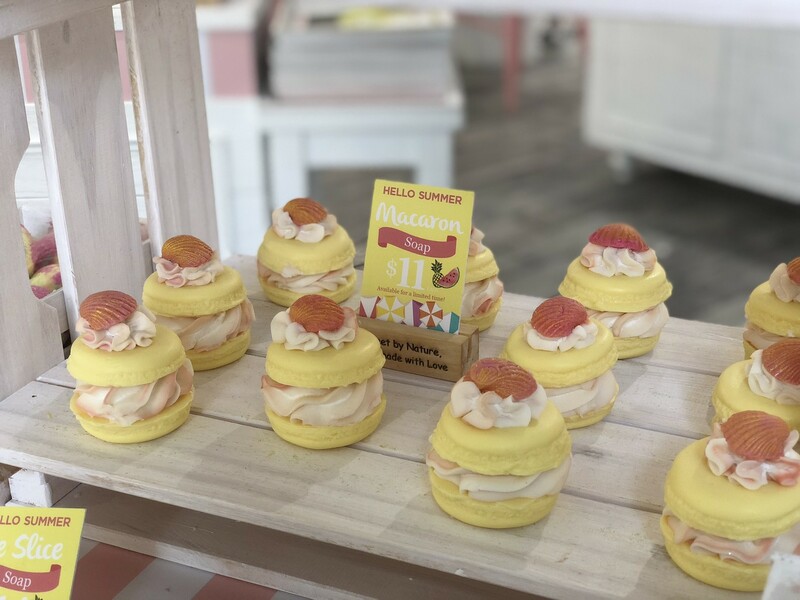 The soap has a whimsical blend of sugar cane, marshmallow fluff, and yellow cake with fruity notes of maraschino cherries and strawberry jam, finished off with toasted hazelnut. 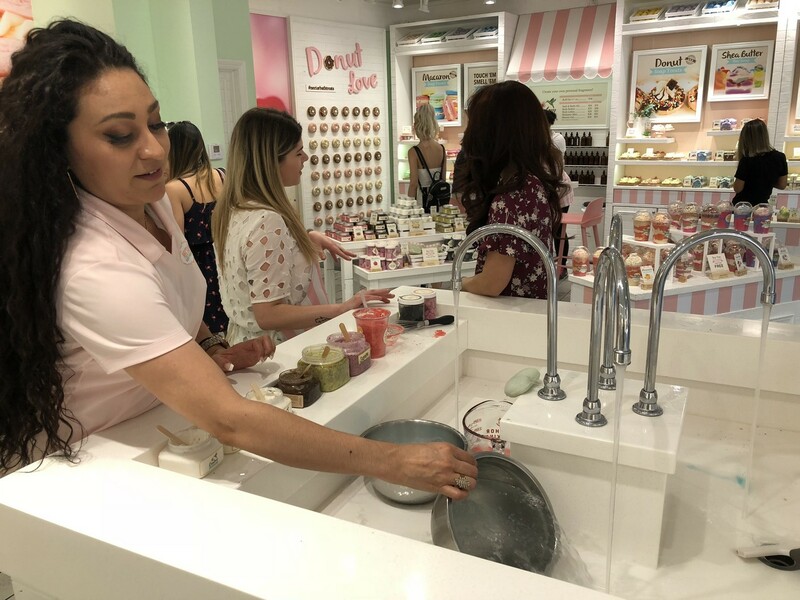 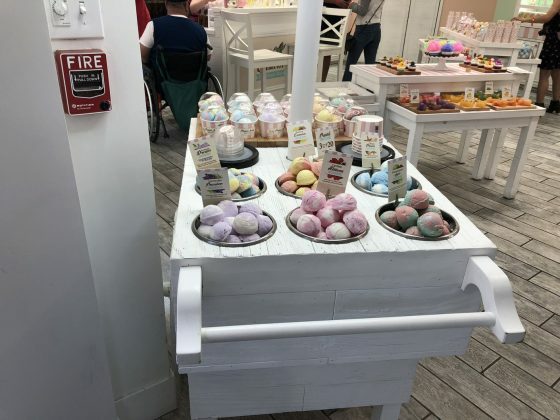 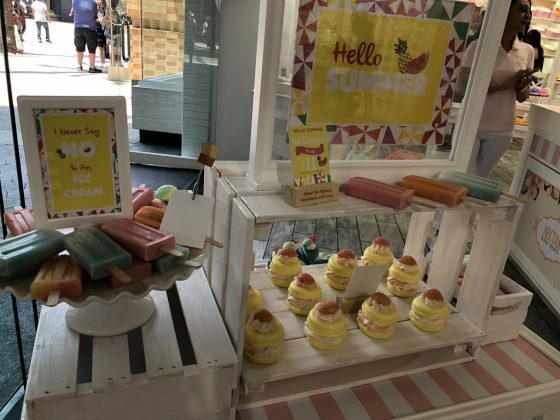 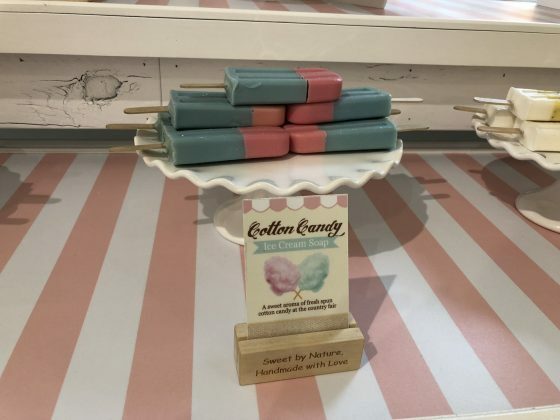 Guests can also jump into the fun and create their own creation at the custom fragrance bar and make their creation into body butter, glitter spray mist, body lotions, and even shower gels. Curios on which type of product to pick? 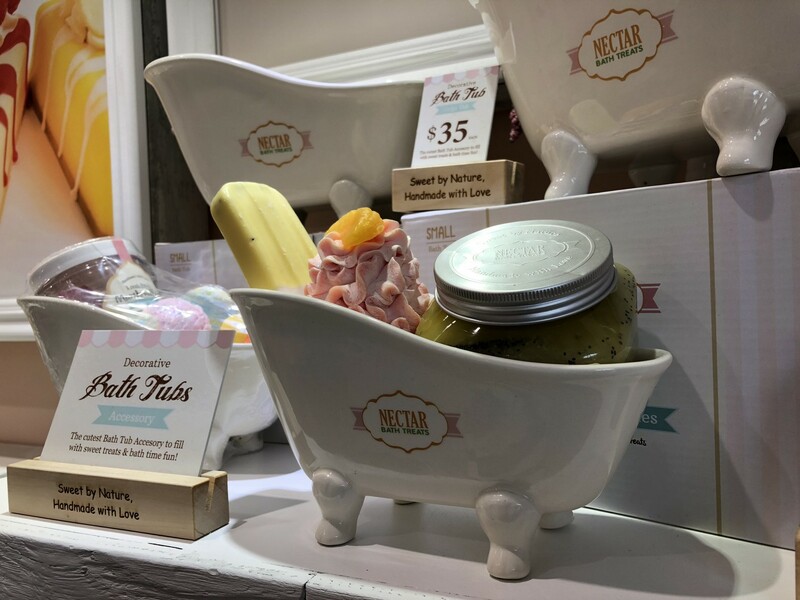 Don’t worry, the people at Nectar Bath Treats will walk guests through products at their demo station. 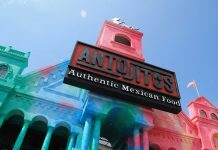 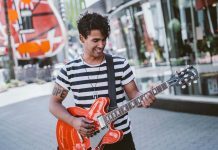 As CityWalk goes through an array of enhancements, which include new restaurants and shopping, these two stores are a welcoming addition.